Red Pepper Quilts: Kiwi Fabric and a Giveaway! 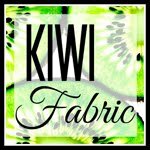 Kiwi Fabric and a Giveaway! Today I am excited to be hosting a giveaway on behalf of Kim from Kiwi Fabric (Etsy). 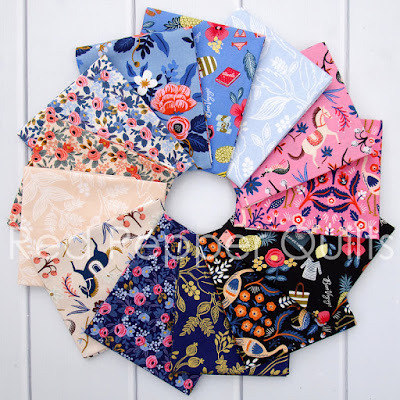 Kiwi Fabric is an Etsy based online fabric store with an great range of the latest designer quilting collections from all the big fabric houses, including Robert Kaufman Fabrics, Cotton + Steel, and Windham Fabrics. Here you will find modern fabric collections like Les Fleurs by Rifle Paper Co, Blueberry Park by Karen Lewis, Hemma by Lotta Jansdotter, Grafic by Latifah Saafir, and great stash basics like Mini Pearl Bracelets by Lizzy House, and Robert Kaufman Kona Cotton (be sure to check out the Stash Basics cateogory!). Kim has a great eye for color and pattern and collates beautiful custom bundles. I love this low volume bundle! Kim also happily accepts custom order (contact Kim by Etsy convo) and offers a minimum 1/4 yard cut. I hope you'll take a moment to check out what else is on offer at this new sponsor's store. You won't be disappointed by the range available, nor Kim's excellent customer service. 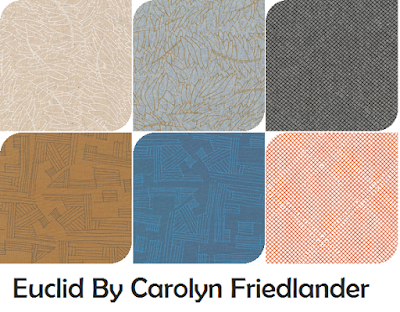 Kim is giving away a 1/2 yard bundle of the highly anticipated Euclid collection by Carolyn Friedlander to one lucky RPQ reader. 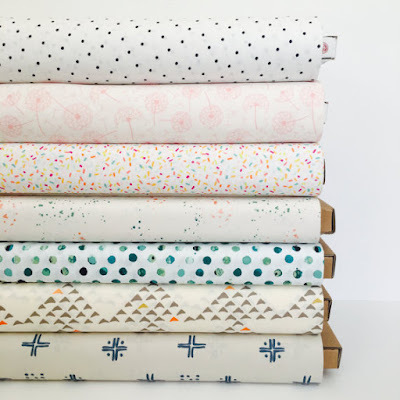 Euclid is a special 6-piece fabric collection overprinted on Robert Kaufman’s Essex - a dreamy linen/cotton-blend that is perfect for any task at hand including garments, bags and accessories, and of course quilts! The draw will take place at 8 pm (Australia EST) on Saturday 17 September 2016, at which time comments to this post will be closed. The winner will be announced by edit to this blog post, and will also be contacted by email. Congratulations Paige! Paige has been contacted by email.